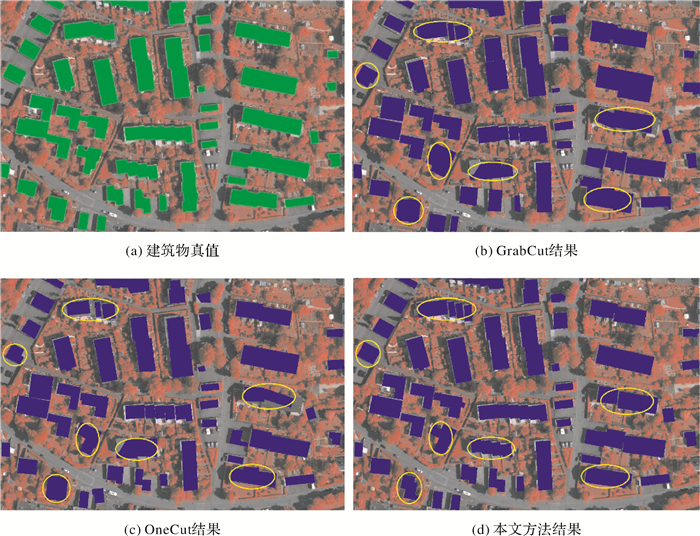 Abstract: This paper proposes a method of semi-automatic right-angle building extraction from very high resolution remote sensing imagery, based on graph cuts with the multi-stars shape constraint and regularization. The framework consists of the following steps:Firstly, the image block containing the target building is obtained by manual interaction. Next, the image block is preprocessed by bilateral filtering. 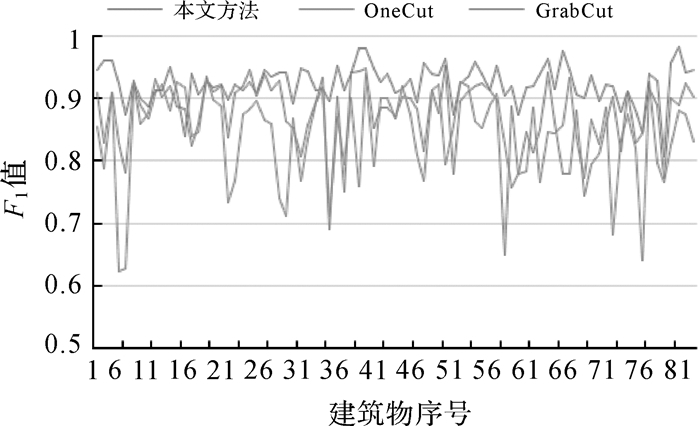 Then the graph cuts with the star shape constraint is used to obtain the building objects.Finally, building object is regularized into real regular shape through corner detection and linear fitting. 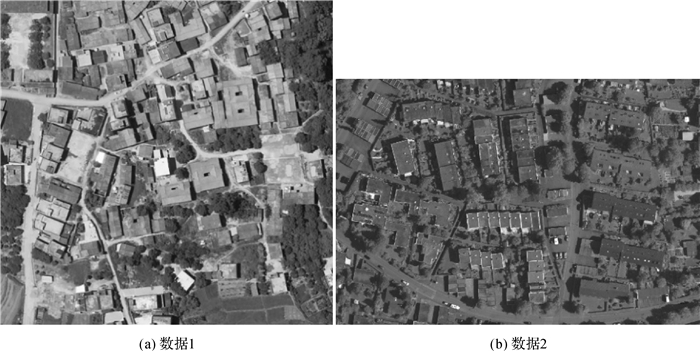 The experiments performed on two different region and spatial resolution aerial imageries demonstrate the stability and accuracy of the proposed method. 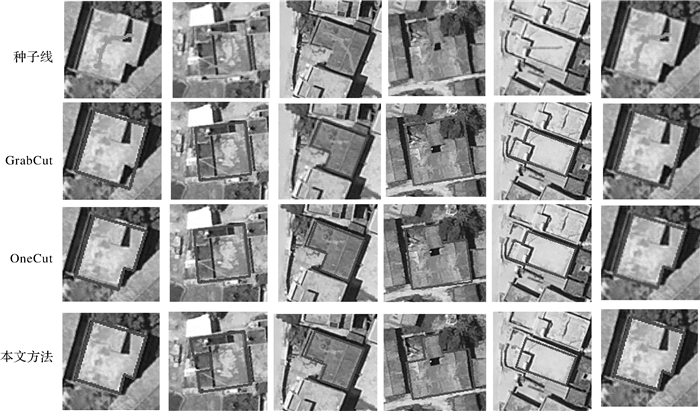 NORONHA S, NEVATIA R. Recent Advances in Detection and Description of Buildings from Multiple Aerial Images[C]//Proceedings of Computer Vision-ACCV'98. Berlin Heidelberg: Springer, 1997: 259-266. BRUNN A, WEIDNER U. Extracting Buildings From Digital Surface Models[C]//IAPRS 3D Reconstruction and Modeling of Topographic Objects. Stuttgart: IAPRS, 1997: 3-4. 周绍光, 孙金彦, 凡莉, 等. 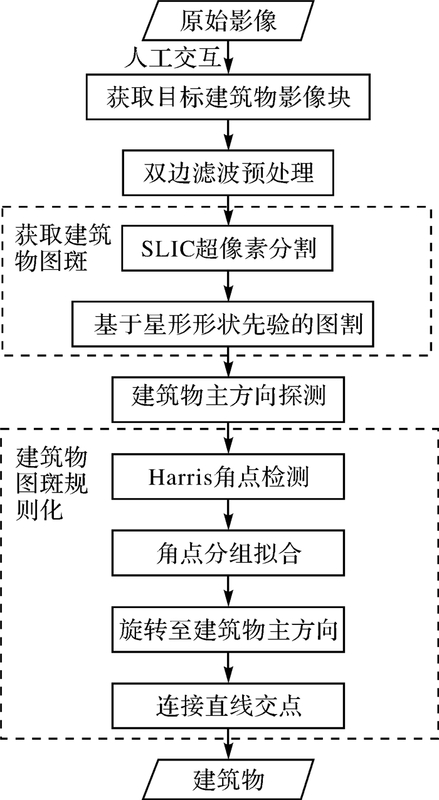 高分辨率遥感影像的建筑物轮廓信息提取方法[J]. 国土资源遥感, 2015, 27(3): 52–58. ZHOU Shaoguang, SUN Jinyan, FAN Li, et al. 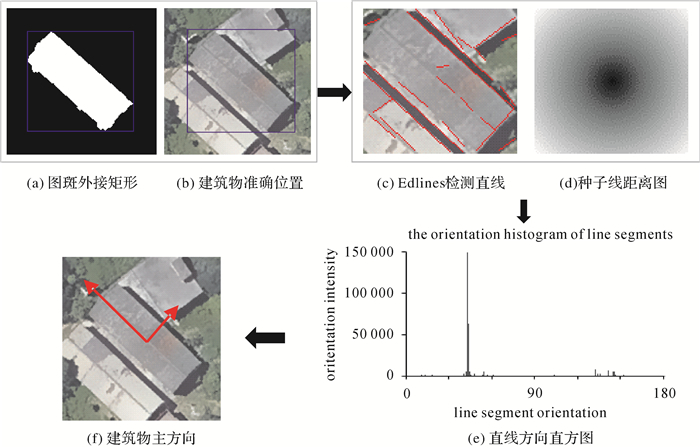 Extraction of Building Contour From High Resolution Images[J]. Remote Sensing for Land and Resources, 2015, 27(3): 52–58. 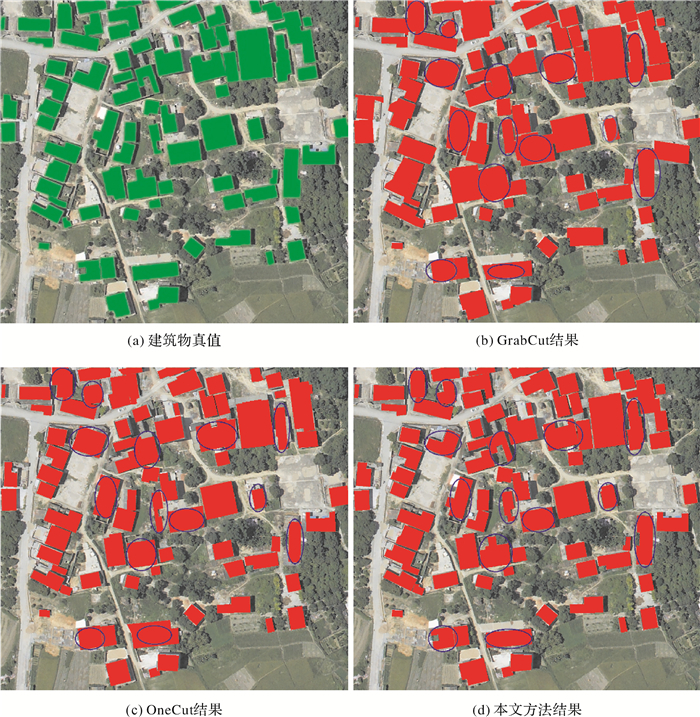 MNIH V. Machine Learning for Aerial Image Labeling[D]. Toronto: University of Toronto, 2013. FAZAN A J, POZ A P D. Rectilinear Building Roof Contour Extraction Based on Snakes and Dynamic Programming[J]. International Journal of Applied Earth Observation and Geoinformation, 2013(25): 1–10. JIANG N, ZHANG J X, LI H T, et al. 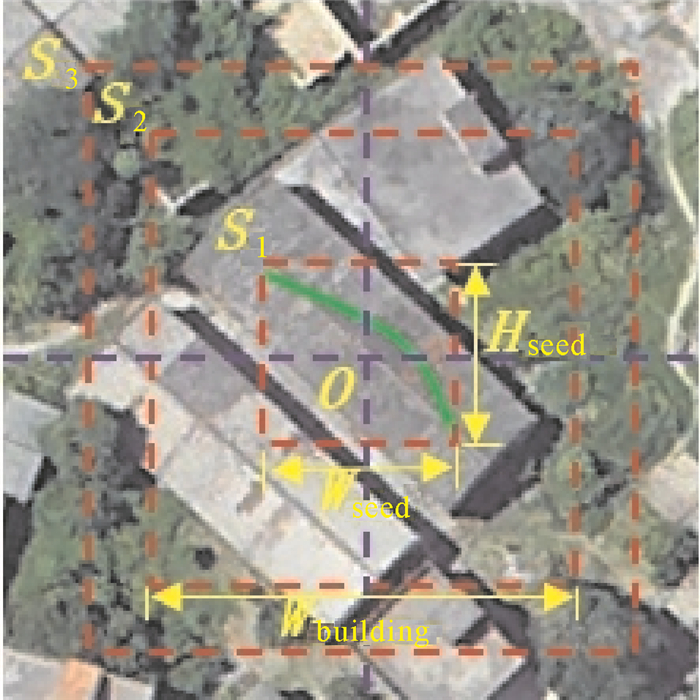 Semi-automatic Building Extraction from High Resolution Imagery Based on Segmentation[C]//Proceedings of 2008 International Workshop on Earth Observation and Remote Sensing Applications. Beijing: IEEE, 2008: 1-5. 张煜, 张祖勋, 张剑清. 几何约束与影像分割相结合的快速半自动房屋提取[J]. 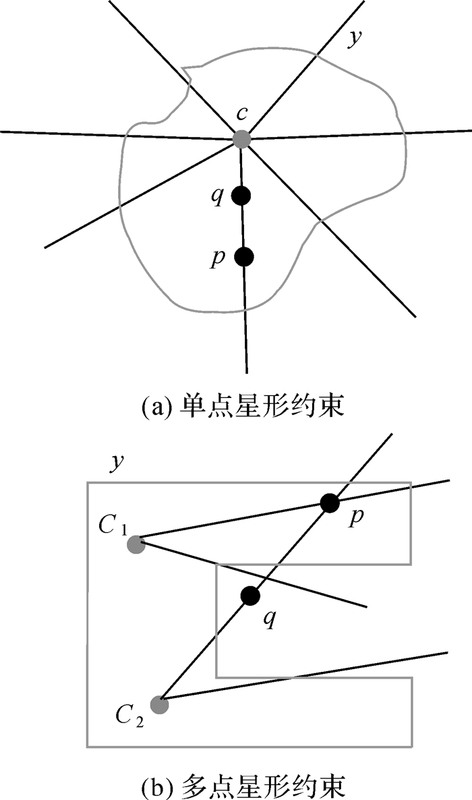 武汉测绘科技大学学报, 2000, 25(3): 238–242. ZHANG Yu, ZHANG Zuxun, ZHANG Jianqing. House Semi-automatic Extraction Based on Integration of Geometrical Constraints and Image Segmentation[J]. 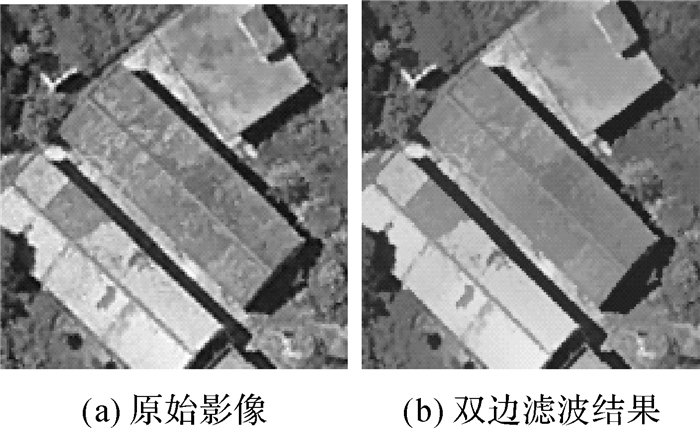 Journal of Wuhan Technical University of Surveying and Mapping, 2000, 25(3): 238–242. LEMPITSKY V, KOHLI P, ROTHER C, et al. Image Segmentation with A Bounding Box Prior[C]//Proceedings of 2009 IEEE 12th International Conference on Computer Vision. Kyoto, Japan: IEEE, 2009: 277-284. SLABAUGH G, UNAL G. Graph Cuts Segmentation Using an Elliptical Shape Prior[C]//Proceedings of 2005 IEEE International Conference on Image Processing. Genova, Italy: IEEE, 2005: Ⅱ-1222-5. GORELICK L, VEKSLER O, BOYKOV Y, et al. Convexity Shape Prior for Segmentation[C]//European Conference on Computer Vision. Cham: Springer International Publishing, 2014: 675-690. VEKSLER O. Star Shape Prior for Graph-cut Image Segmentation[C]//European Conference on Computer Vision. Berlin, Heidelberg: Springer-Verlag, 2008: 454-467. GULSHAN V, ROTHER C, CRIMINISI A, et al. Geodesic Star Convexity for Interactive Image Segmentation[C]//Proceedings of 2010 IEEE Computer Society Conference on Computer Vision and Pattern Recognition. San Francisco, CA, USA: IEEE, 2010: 3129-3136. 田昊, 杨剑, 汪彦明, 等. 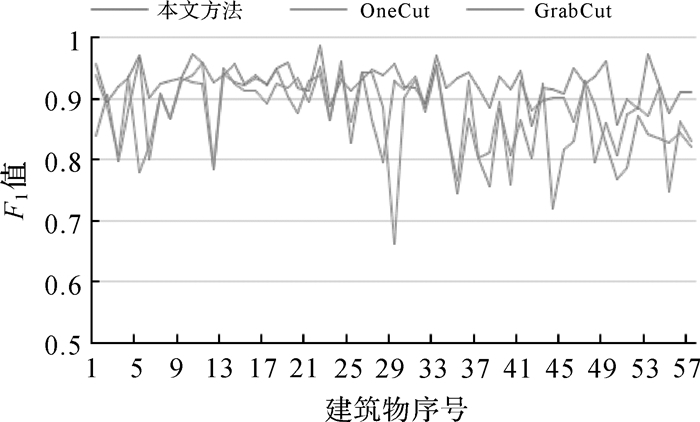 基于先验形状约束水平集模型的建筑物提取方法[J]. 自动化学报, 2010, 36(11): 1502–1511. TIAN Hao, YANG Jian, WANG Yanming, et al. Towards Automatic Building Extraction:Variational Level Set Model Using Prior Shape Knowledge[J]. Acta Automatica Sinica, 2010, 36(11): 1502–1511. 周绍光, 陈超, 岳建平. 形状先验和图割的高分辨率遥感影像道路段提取[J]. 测绘学报, 2014, 43(1): 60–65. TOMASI C, MANDUCHI R. Bilateral Filtering for Gray and Color Images[C]//Proceedings of the 1998 IEEE International Conference on Computer Vision. Bombay, India: IEEE, 1998: 839-846. ACHANTA R, SHAJI A, SMITh K, et al. SLIC Superpixels Compared to State-of-the-Art Superpixel Methods[J]. IEEE Transactions on Pattern Analysis & Machine Intelligence, 2012, 34(11): 2274–2282. BOYKOV Y Y, JOLLY M P. Interactive Graph Cuts for Optimal Boundary & Region Segmentation of Objects in N-D Images[C]//Proceedings of the 8th IEEE International Conference on Computer Vision. Vancouver, BC, Canada: IEEE, 2001(1): 105-112. BOYKOV Y, KOLMOGOROV V. An Experimental Comparison of Min-cut/Max-flow Algorithms for Energy Minimization in Vision[C]//International Workshop on Energy Minimization Methods in Computer Vision and Pattern Recognition. Berlin, Heidelberg: Springer-Verlag, 2001: 359-374. HARRIS C, STEPHENS M. A Combined Corner and Edge Detector[C]//Proceedings of the 4th Alvey Vision Conference.[S.l. ]: AVC, 1988: 147-151. TANG Meng, GORELICK L, VEKSLER O, et al. Grab Cut in One Cut[C]//Proceedings of 2013 IEEE International Conference on Computer Vision. Sydney, NSW, Australia: IEEE Computer Society, 2013: 1769-1776.